The Czech Tennis Federation announced on Friday that the upcoming Fed Cup by BNP Paribas World Group play-off between Canada and the Czech Republic will take place in Prostejov, in the Czech Republic, and will be disputed on an indoor clay court. The choice of surface was made by the Czech team for the tie that will take place on April 20 and 21. The player nominations will be announced at a later date. This will be the seventh meeting between these two teams, with the Czech Republic having won all six previous ties. The last encounter dates back to 2015 when the Czechs defeated the Canadian team by a score of 4-0 in the World Group first round tie in Quebec City. Canada is currently ranked no. 11 in the rankings thanks to their 4-0 win this past February over the Netherlands in the World Group II first round tie. 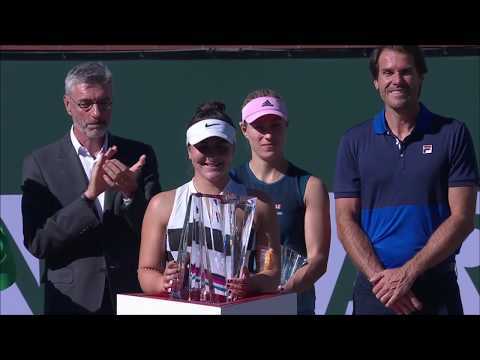 The Canadian team made up of Bianca Andreescu, Françoise Abanda, Rebecca Marino and Gabriela Dabrowski put on a dominant performance on the clay courts in ‘s-Hertogenbosch. For their part, the Czech Republic are currently ranked No. 1 in the world and are the defending Fed Cup champions. They were upset this past February by a resilient Romanian team who got their victory in a tight decisive fifth rubber playing on the road. The winner of this upcoming tie will earn a spot in the World Group for 2020 while the losing nation will compete the World Group II next year.